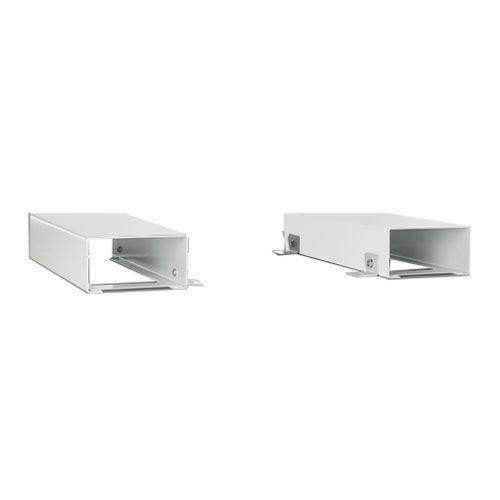 “We have thousands of products that cover over 24 categories so you'll be sure to find what you're looking for"
Suitable for loads up to 1 tonne, this base plinth incorporates tough fork lift channels - ideal for efficient movement of heavy-duty Bott drawer cabinets. Supplied with free removable faceplate, to maintain utility and a professional look. Share this product by e-mail. Impossible to send your e-mail. Fork lift base plinth accessory, to fit Bott Cubio drawer cabinets of width 525mm, for heavy loads! Copyright © 2019 by Manutan. All rights reserved. Prices shown are in £'s and are exclusive of VAT.